Minorities Affairs Minister Mukhtar Abbas Naqvi used a Hindi proverb and described Khan’s comments. The BJP on Sunday lashed out at Pakistan Prime Minister Imran Khan over his barb at India over the treatment of minorities, terming his country “a land of atrocities against minorities” who have been “persecuted” there since its birth in 1947. Minorities Affairs Minister Mukhtar Abbas Naqvi used a Hindi proverb and described Khan’s comments as a case of a cat going on a pilgrimage after eating 100 mice (Sau chuhe khake billi Haj ko chali). In hard-hitting remarks against Pakistan, Naqvi said that the number of minorities like Hindus, Sikhs, and Christians have fallen by almost 90 per cent in that country since its birth in 1947 as they were hounded by Islamic fundamentalists in collusion with its government. 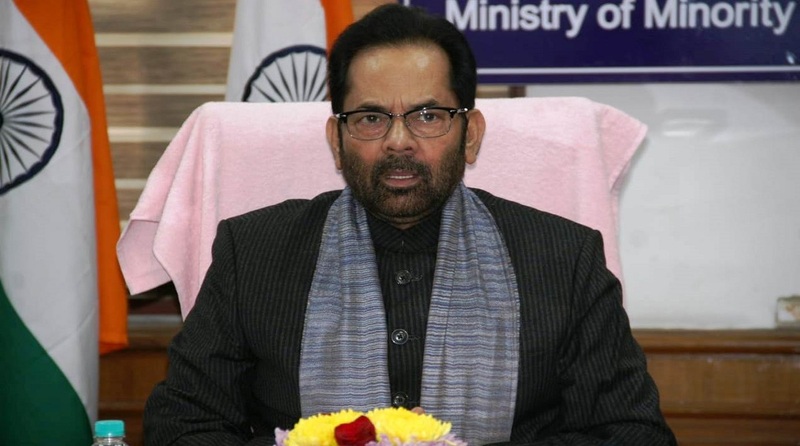 Unlike Pakistan, where minorities were killed, forced to convert or persecuted out of the country, in India, they have grown and are an equal partner in development, Naqvi asserted. In the neighbouring country, minorities are barely two to three per cent of its population, he said. Targeting Khan, Naqvi named a number of popular Indian artists, including Yusuf Khan better known as Dilip Kumar, and Aamir Khan, Salman Khan, and Shahrukh Khan, and noted that generations of Indians have admired them. “Can Imran Khan name a single Pakistani artiste who has come from a minority community and been liked as much as these actors are in India,” Naqvi said. The Union minister also had a word of advice for veteran Indian actor Naseeruddin Shah, whose comments expressing concern over mob violence in the country were seized upon by Imran Khan to claim on Saturday that he will show the Indian government how to treat minorities. “Naseeruddin Shah should also consider that such a sweeping statement that is also factually incorrect causes a lot of harm and is used by anti-India forces to target our country,” Naqvi said. Shah had cited the murder of a police inspector in Uttar Pradesh’s Bulandshahr by a mob protesting the alleged slaughter of cow to express his concern. Minorities’ constitutional, social and democratic rights in India have always been secure, he said, adding that Pakistan’s ill-treatment of its minorities have been recorded by various global bodies, including the United Nations.